Our fish is harvested weekly at one or more of our farmer producers’ sites. 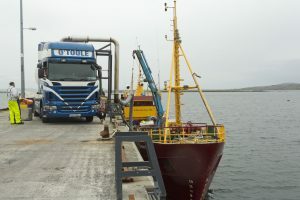 The harvested fish are then transferred to the packing plant. 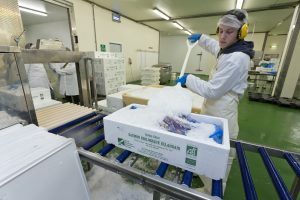 Here the fish are cleaned, gutted, sorted according to their size and quality and packed on ice in 20 kg boxes under approved HACCP procedures. Our packing plant Kilkerrin Salmon Ltd is certified BRC Globlal Standard for Food Safety (grade AA) since 2015. Each shipment of fish is accompanied by a comprehensive product traceability sheet which details the life history of that batch of fish. 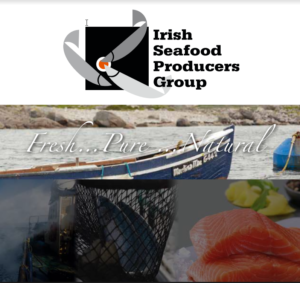 These details are contained in ISPG’s on line sales system, which at any stage can provide information on any particular batch of fish shipped from our packing station. Each organic agency carries out at least an annual audit with ISPG’s organic farms, which guarantees our organic fish are reared to the strict organic standards. Organic Standards require farming conditions to be as close as possible to nature, having regard for, food safety, animal welfare, and environmental sustainability. Naturland: Organic standards agency in Germany. Bio Suisse: Organic standards agency in Switzerland. Agriculture Biologique: European Regulation (EC) No 834/2007 (EC) No 889/2008 certified by IOFGA. This European certification also gives our producers permission of usage of the French AB logo.